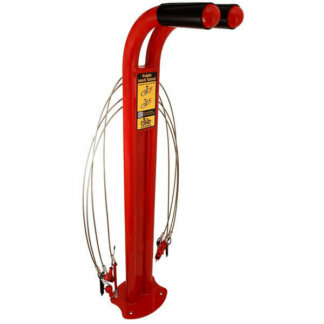 CycleSafe Angled Bike Stalls offer bike parking capacity for 4 or 8 bikes at a 45º angle. 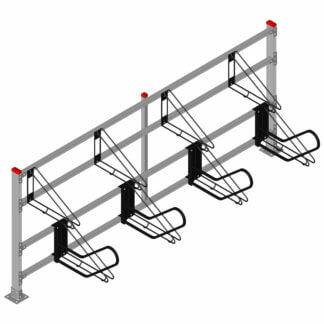 Angled bike parking maximizes space between pedestrian or traffic lanes. Available in post mount or strut mount, these units are available in 5′ sections and may be bolted to a concrete or asphalt surface.